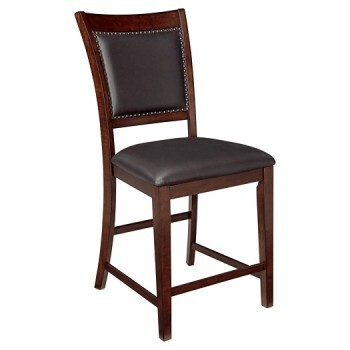 Pull up a seat and casually dine in the comfort of this counter height bar stool. Luscious upholstery covering the seat's cushion and back, along with the leg rest, make this stool inviting. Rich dark brown finish and nailhead trim complete the upscale look.